I am working with Elastic Stack (elasticsearch, logstash, and kibana) for a report where data needed to be joined with two indexes, where the level_X_id to level_Y_id could be matched upon. The level_X_id to level_Y_id attributes exist in both indexes. NOTE: You can have multiple documents in each index that have level_X_id to level_Y_id, not just one document that matches with an exact match. 1. Use multiple indexes in your _search API. This returns all documents where field name(s) match in both indexes. Retrieves cherryshoe_secondary_idx documents, where both cherryshoe_primary_idx and cherryshoe_secondary_idx documents have matching "level_1_id" value of "3629". 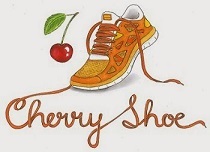 query.terms.level_1_id json attribute refers to the cherryshoe_secondary_idx index attribute. query.terms.level_1_id.path value of level_1_id refers to the query.terms.level_1_id.index document json structure "_source.level_1_id". You can see this in Kibana -> Discover -> cherryshoe_primary_idx. Expand one of the results -> and instead of the "Table" view look at the "JSON" view. You'll notice the "_source" JSON object holds all the index attributes. query.terms.level_1_id.type json attribute refers to the document json structure "_type". You can see this in Kibana -> Discover -> cherryshoe_primary_idx. Expand one of the results -> and instead of the "Table" view look at the "JSON" view. You'll notice the "_type" JSON attribute has value "logs". I thought I could immediately put multiple Terms in the query, to add additional attributes, but you can't have multiple Terms be defined and return the results you expect. For example, the below runs with valid syntax, but doesn't return any data. I haven't been able to find documentation to say that you cannot have multiple Terms in a query work. Interesting because you can also have one Term. 3. Using the multi-search template, which allows you to execute several search template requests within the same API. It returns records from either index depending on the query criteria that you want from each respective index. NOTE: each "index" and "query" json should not span multiple lines. The web application I work on has a reporting module where data is ETLed with Logstash and stored in Elasticsearch. There is a reporting module where you can specify multiple filters, i.e state filter, program filter, etc. One of the filters was using the "text_data_that_can_be_very_long" field to filter on; sometimes the value was being cut off because of the length restriction. Because of this, an additional field was added for the "id" value of the filter (text_data_that_can_be_very_long_id), the query was updated to use the "id" field of this value to filter instead, and the "ignore_above": 256 restriction was removed for "text_data_that_can_be_very_long" for data display purposes. I recently worked on a web application where we had to retrieve user specific dashboard data in real-time with dynamic paging, dynamic column sorting (ASC or DESC), and dynamic data filtering (i.e by year). For the normal use case, there would not be too many user specific data, but for a small sub-set of users they would have a large amount of user specific data. Also, out count parameters were needed in addition to the select column data output. For this reason, MySQL stored procedures were chosen to achieve this real-time requirement. Needed to pass parameter dynamic data for filtering and sorting in the SELECT statement to retrieve user data. With a Temp table that is possible vs a View's select statement cannot contain a variable or a parameter (it's a known limitation). reflects the state of the database at the time it was populated and is only created once per session. We want to always update the View real-time, even in the same session for a user. Temp tables are created per session, so you can have the "same name" temp table across different sessions. MySQL will maintain different "copies" of it. Below are two curl examples of Spring Boot controller method signatures for a multipart/form-data POST request, one with request parameter metadata, one with JSON request body metadata. * Takes a list of document MultipartFile's, and JSON metadata. I needed programatically create kibana index patterns and set the default index pattern to support an automated deployment. The below two curl commands were used in a bash script to do that. To get the $KIBANA_HIDDEN_INDEX, navigate to <kibana_home>/config/kibana.yml, and note down the "kibana.index" value. I recently submitted this question to the Atlassian Community on a problem I am facing with using the Bamboo SSH Task. This works great when running from within the remote server, but when called from Bamboo SSH task, it dies silently. I've disabled the "requiretty" and "!visiblepw" configuration via visudo as discussed in https://community.atlassian.com/t5/Answers-Developer-Questions/Execute-sudo-on-remote-agent/qaq-p/523834, thinking it may be similar to a sudo issue. Does not solve the problem. Anyone know a workaround or solution for this? Below is an example on how to remotely call a bash script with a parameter over ssh. I've done this multiples times in the past, but decided to document it this time so next time I can just reference this post. This assumes that ssh to remote server passwordlessly already works with the intended user. The example here performs an automated database script deployment for the sprint branch that is currently being worked. Atlassian bamboo is being used for CI, but the DB script part was still being done manually. This was a home-grown solution, the SQL for Bamboo add-on was not available and not used. The bamboo server was already configured with SSH Task's that called scripts to download the source code for the sprint branch on the source server. So by the time the cherryshoe_db_copy_deploy.sh script is called, the database scripts files already reside on the source server. We need the sprint number passed as a parameter because we have to know which sprint folder to copy. This script then preps folders on the DB server (cherryshoe_db_prep.sh), copies the DB scripts, and runs scripts on the DB server (cherryshoe_db_deploy.sh). ssh $REMOTE_USER@$REMOTE_MACHINE "cd $REMOTE_PATH_TO_SCRIPT;./cherryshoe_db_prep.sh $SPRINT_NUMBER"
ssh $REMOTE_USER@$REMOTE_MACHINE "cd $REMOTE_PATH_TO_SCRIPT;./cherryshoe_db_deploy.sh $SPRINT_NUMBER"
echo "No sprint folder specified"
echo  Create sprint DB automated deployment folder if not exists.